In this article you will read why Dominica is the ideal destination for eco-tourists. Whether you are a naturalist, a hiker, a trekker or just simply in for some unique natural experiences hiking and trekking through a cloud covered rainforest, you will learn that Dominica is a destination with a superb nature that is unsurpassed by none in the area of eco-tourism. 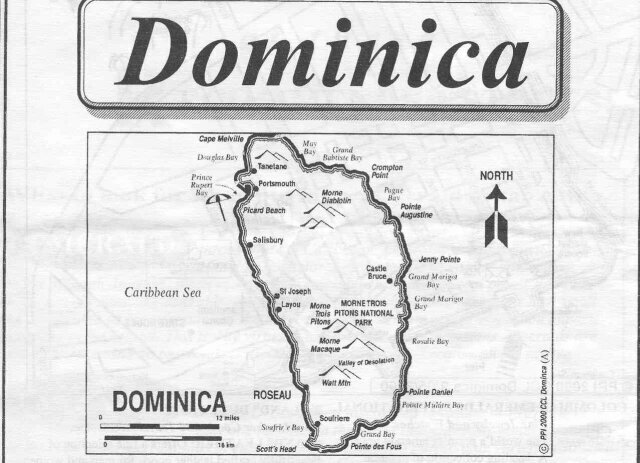 First of all, it is important that the island of Dominica is not confused with the Dominican Republic. That is a totally different island. Eventhough Santo Dominigo is beautiful in its own rights, Dominica will surely be the most beautiful island you will have ever visited. Almost untouched, much of the dense rain forests of Dominica remain unexplored. 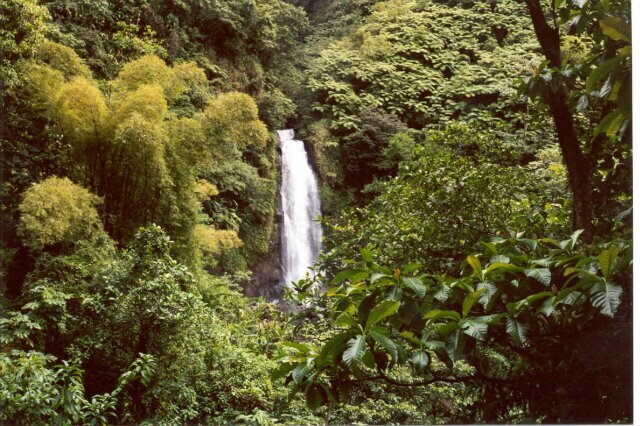 Dominica, also known as "The Nature Island", is blessed with 365 rivers, one for every day of the nature-filled year. 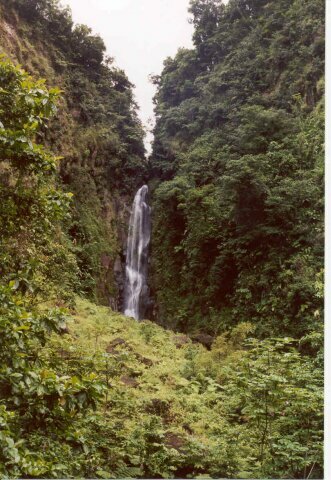 Dominica boasts waterfalls, hot springs and boiling lakes. Christopher Columbus landed here and it is said that were he to return today he would still recognize it. Dominica has maintained its natural beauty all this time. English is the official language, but a French patois is widely spoken. The Caribs, the indigenous people of the Caribbean, still live in the mountainous Northeast. Why is Dominica ideal for you, the eco-tourist? 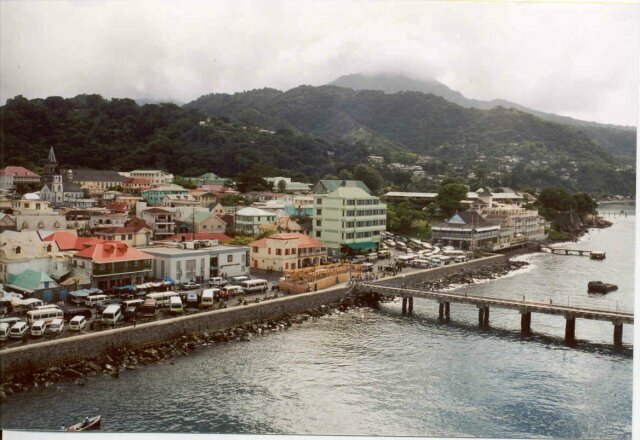 Just picture you are in Dominica. You can take a 4 hour tour deep into the rain forests. You will leave the dockside at the Bayfront Harbor in Roseau, capital city of Dominica, heading into the rain forests to Trois Piton National Park, home of the Emerald Pool. Along the way, the road passes through vast banana plantations and beautiful wild flowers. Arriving at the park, you can get out of the bus and trek up a trail leading to the pool. The trail is rugged and the forest is dense and humid. The pool is fed by a cascade of water which plunges off a fern covered cliff. Next stop is the village of Trafalgar where you can trek up another rugged trail to a viewpoint above the river and a grand view of the twin Trafalgar Falls. Leaving Trafalgar you will head for the Cane Field Estates, stopping at the Springfield Plantation for a cool drink of tangerine punch. Then down the Imperial Road en route to Roseau. You will get a lot of exercise on this tour and it will be the most beautiful of all tours available on Dominica. So how do you get to Dominica? You can get to Dominica from St. Maarten, Guadeloupe or Martinique on our AirStMaarten flights operated by TakeAir Dominica. AirStMaarten operates as a virtual airline and do not own any physical aircrafts, but all flights to Dominica, Guadeloupe or Martinique are executed by Take Air Dominica with a Dornier 228-550 19-seater aircraft. Read more about TakeAir Dominica. FLY TO DOMINICA FOR ONLY US$100 ONE-WAY!!!! UPDATE - THIS SERVICE HAS BEEN DISCONTINUED !!! in the backdrop of the town. Book your next TakeAir flight here now!